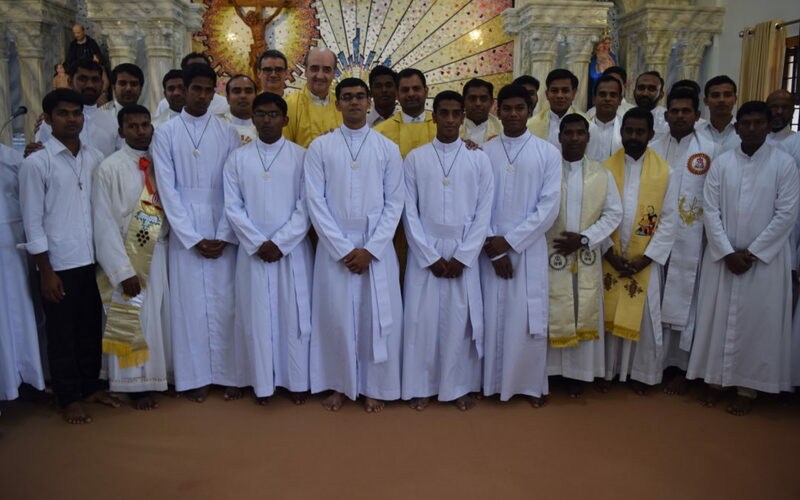 Indian vice-province is with profound gratitude and immense joy as five of our novices made their simple profession on April 13 at the Casa Calasanz, in Sulthan Bathery. 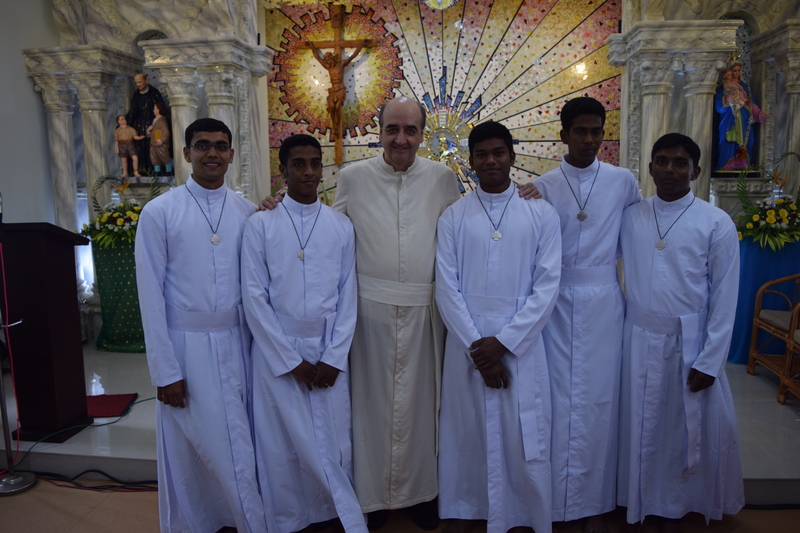 During the mass presided over by fr. 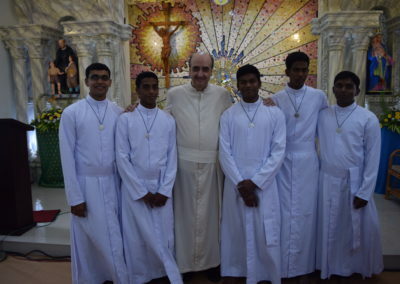 Thomas Pallithazhathu, Rev. Fr. 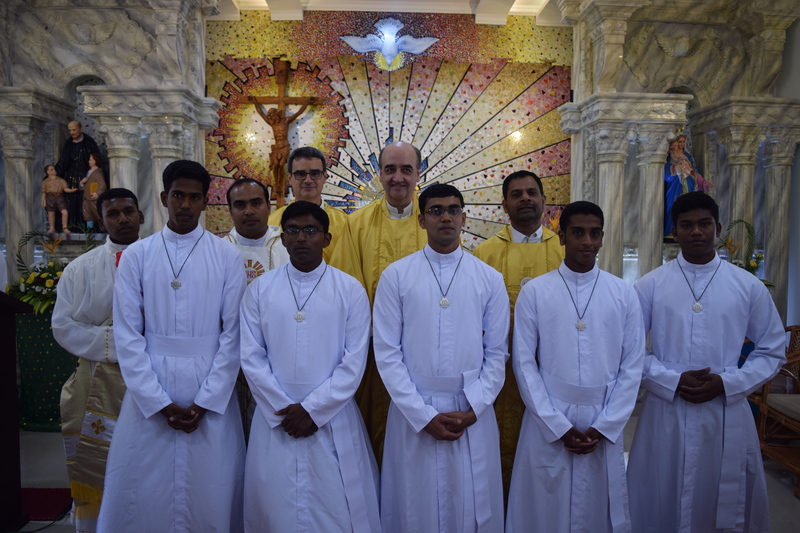 Pedro Aguado, Superior General of our Order received the profession of Anok Kumar, Gissin George, Vinal Antony, Ashok, and Patras Majhi. Fr. 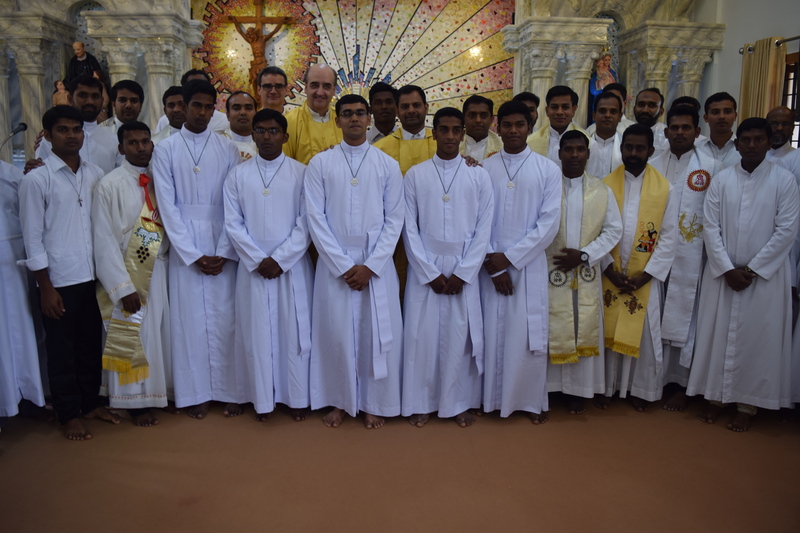 General delivered also the homily. 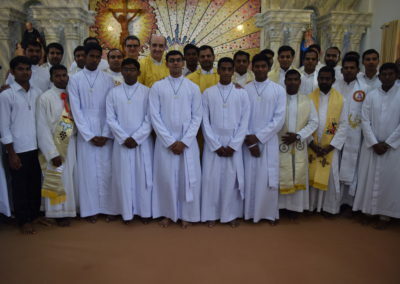 Many Piarist priests and brother’s presence added the blessing and colour for the celebration. 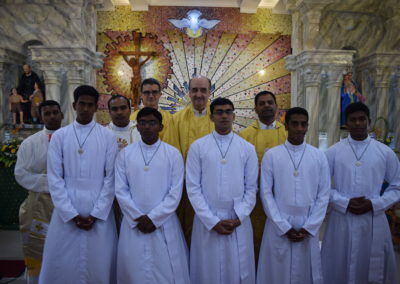 A good number of family members of each newly professed brothers also were present. Fr. Jins Joseph Sch. P.